Trainers Anne Gage and Lindsay Grice discuss why horses buck and how to prevent this unsafe behaviour. Riding a horse who bucks is a frustrating experience, which can be difficult to fix, particularly if you can’t figure out why he’s doing it. In the first of a series of problem solving articles, trainers Anne Gage and Lindsay Grice discuss the possible causes and offer advice on how to eliminate bucking. 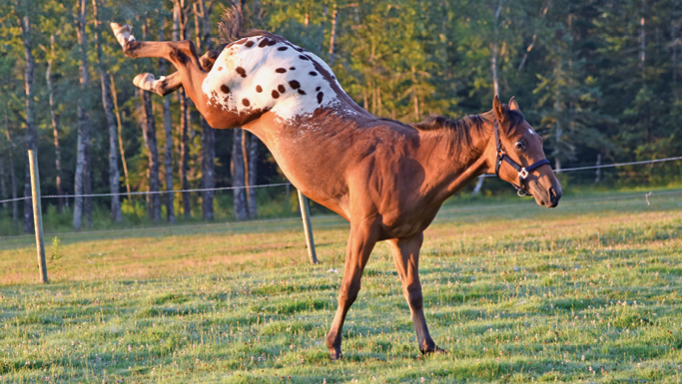 Bucking is a natural behaviour for horses. “In horses’ evolution, it was probably used to get rid of a predator. 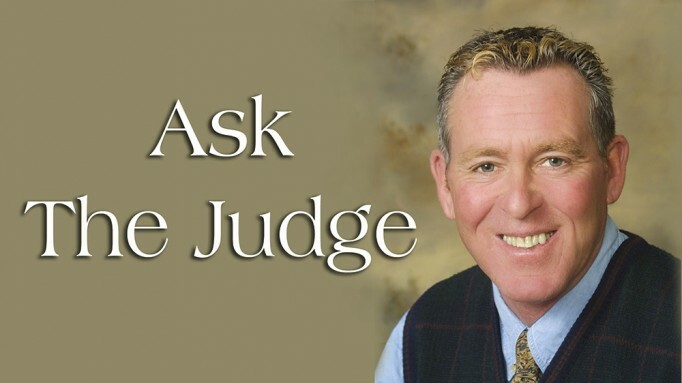 It is often commonly interpreted by humans as either as a playful expression or as disobedience – particularly when a horse does not appear to “want” to do as he is being asked,” said Anne Gage, partnership trainer, coach and owner of Confident Horsemanship. Sometimes, horses buck out of exuberance, play or a build-up of excess energy, which can be the result of limited turn out, lack of socialization with other horses or high energy feed. Lindsay said, “Prey animals get wound up. The faster their legs go, the more their adrenaline rises, which generates more excitement.” Ensuring that your horse is exercised regularly, receives a diet formulated for his needs, and is able to enjoy time with other horses in a stable herd environment can help tame this type of behaviour. Saddle fit is often considered first, as pressure points caused by an ill-fitting saddle can affect horses in numerous ways. “I’m regularly sliding students’ saddles back off horses’ shoulder blades and having them slip their fingers under the front panels to discover – ‘Ouch, this part is really digging in,’” said Lindsay. Anne added that there are many other possible causes of pain including: bit fit, dental issues (teeth, tongue, palate, jaw, temporomandibular joint disorder), poll, neck, pelvis, kissing spine, pinched or damaged nerves, causing stabbing or burning sensations. She noted that improper and unbalanced training can also contribute to this problem. 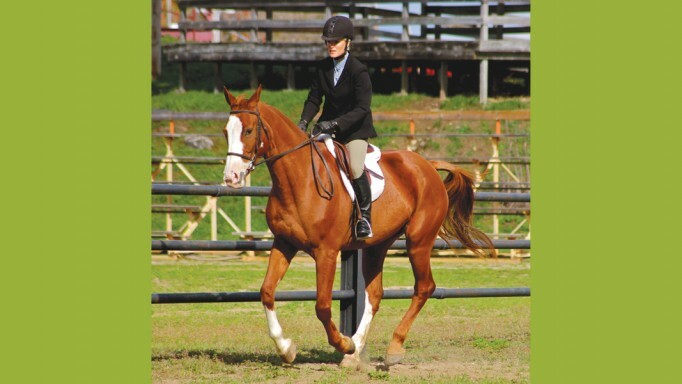 For example, asking your horse for the left canter lead when he does not have a left bend can lead to confusion and a desire to evade your request. 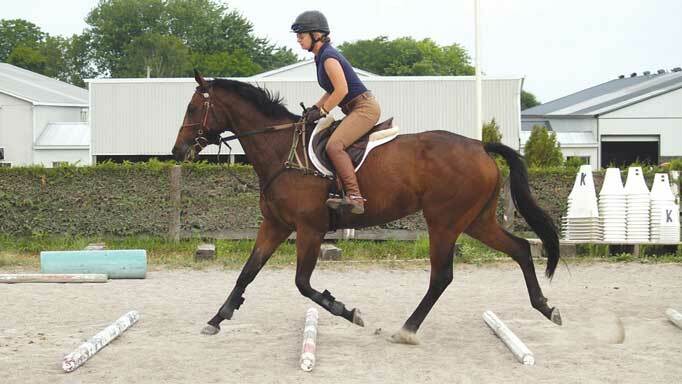 Your investigation may reveal gaps in your horse’s training. It is important to fill these in order to help him be confident and comfortable with what he is being asked to do. Lindsay said, “In training a horse with an inclination to buck, I’d make sure the following ‘bricks’ are well laid in my training foundation before cantering. “The horse should be straight and forward. 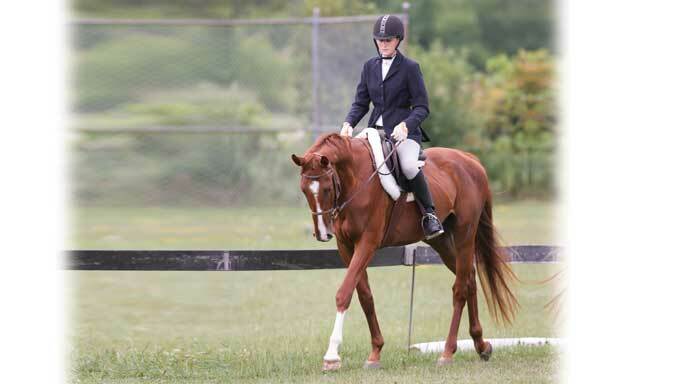 Bulging to the outside of a circle (usually toward the barn), lack of forward motion and bucking are often related problems. It is essential that you have control of your horse’s body parts in order to keep him straight and avoid ‘fishtailing’ hind quarters. All lateral work such as bending, leg yielding, turns on the haunches and forehand will give you some tools to contain evasions. Lindsay suggested that lunging before riding is a good way to manage excess energy and help evaluate your horse’s willingness to participate on any given day. Riding a horse with no brakes is a terrifying experience.